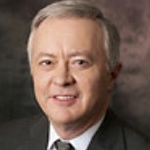 Robert R. (Bob) Padget joined Palliser’s executive team in January 2009. Bob has 39 years of experience in the Canadian oil industry in most disciplines of engineering, primarily reservoir engineering, and project and M&A analysis. Prior to joining Palliser, Bob held a number of positions at Great Plains Exploration between 2004 and 2008, including VP, Engineering and Chief Operating Officer. He was Vice President, Engineering and Operations at Seventh Energy in 2003 and 2004 and at Calpine Canada in 2001 and 2002. He has held Senior management positions both at Encal Energy from 1996 to 2001 and at Home Oil Company from 1984 to 1995. Bob has a Bachelor of Engineering Degree from the University of Saskatchewan. He is a member of both the Association of Professional Engineers and Geoscientists of Alberta, and the Association of Professional Engineers & Geoscientists of Saskatchewan.